Whenever you are thinking of durable tile material, then you should think about porcelain floor tile. It is a much stronger type of ceramic tile. The tile has a high resistance to breaks from drops, water resistant, and it is also the perfect choice if you have children and pet (s). Porcelain tiles are very versatile, comes in different colors and style, and they are all you need to give your home the classic, trendy, and modern look. Remodel your floor tiles with our finest quality material of porcelain tiles. Porcelain tile flooring is in so much trend nowadays used to enhance the long-lasting effect for many spaces of residential as well as commercial. Explore our porcelain tile gallery designed to inspire you for all your flooring needs and taste. So let’s take a look at these benefits which make these floor tiles superior to another material. Porcelain tiles are much denser, so that makes them more resistant to water than the normal ceramic tile flooring. So, you can just imagine the rate at which they are resistant to water. 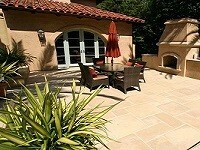 Maintaining porcelain flooring is not a difficult task at all. Stains can be simply cleaned with a towel or mop. In case of a fire breakout, porcelain tile flooring is fire resistant will prevent the fire from spreading. 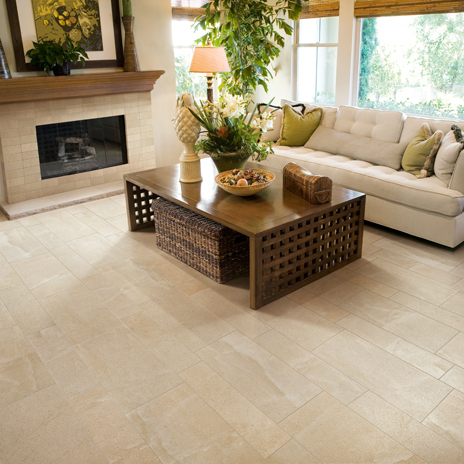 If properly installed by an expert porcelain contractor, porcelain tile flooring can last for decades. Although it is very rare to see a porcelain tile gets damaged when it does, it is easy to remove the damaged piece and replace with another. Whichever type of porcelain flooring you decide to go for, remember no matter how good it is, it will definitely have its own cons too. The three major cons of a porcelain floor tile are; heavy, difficult installation, and also expensive. The heaviness of porcelain tiles makes the installation a difficult one, and porcelain tiles are also pricey. So the cons do not matter much when Westside Tile and Stone installers are here. Our experts are available for you any time and serve the greater Los Angeles area and surroundings. Porcelain floor tile has a reputation all over the world because if its durability and versatility. You can choose from the different designs and colors available in stock at our tile store with a wide variety of style and patterns. Porcelain flooring has a solid and dense material, so it is resistant to different stresses. This made it acceptable and well known in different homes and buildings. Color: the porcelain tiles are available in different colors. So you should choose a color that goes well with the décor of your home. Shape: there is also a wide collection of shapes you can choose from too. Some have rectangular, squares, and penny round shapes. Pattern: you can choose to arrange your tile in any way you choose. Be it straight lay, herringbone, and diagonal lay. Texture: texture can make a great difference on the porcelain train you’re buying, so check well. Finish: there are different ways in which a tile can be finished. The most important thing is just to know what you want. and the cost of labor that will be charged by the contractor. The porcelain floor tile installation is a very difficult task. The installation process takes time, and the porcelain tiles are not easy to move because they’re heavy, so homeowners are not advised to do it themselves without engaging porcelain tile contractor even though the price might be increased. Westside Tile and Stone Inc. is a tile store that sells different types of tiles and stones. 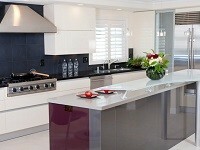 There are different types of porcelain tiles, and all our collections will be shown at the showroom to all customers. The Westside Tile and Stone 9,300 square foot showroom feature all trends and style of the porcelain tiles and some other types and the one stop shop for all your tiling needs. We offer a wide range of porcelain floor tiles collection to enhance the ambiance of your space, serving the greater Los Angeles and throughout Southern California. Contact us today to schedule a free, in-home consultation or visit our tile store and explore the fascinating style and design of porcelain floor tiles. We work with the residents of Agoura Hills, Beverly Hills, Brentwood, Calabasas, Chatsworth, Encino, Hidden Hills, Los Angeles, Malibu, Northridge, Pacific Palisades, Pasadena, Santa Monica, Sherman Oaks, West Hills, West Hollywood and the bordering neighborhoods in Southern California.